Numerous short stories, mysteries and thrillers, published by Mike Shane’s Mystery Magazine and Alfred Hitchcock’s Mystery Magazine, THE HARD CURE, honorably mentioned in Best Detective Stories of 1972. A mystery novel, THE SATYR CANDIDATE, hard back edition published 1979, trade edition 1987. Several screenplays and a teleplay, action/adventure, thrillers and adventure/fantasy. 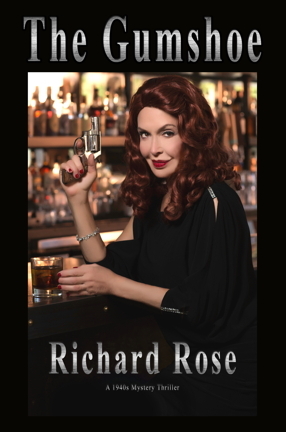 Some were co-authored with my brother, Charles Rose, a published author, others with producers in Chicago, Hollywood and New York City. One screenplay, DEATH ANGEL, was presented by the Writers’ Workshop of The American Film Institute in 1985. All were optioned from time to time by independent producers, including Don Johnson Productions and Graham Henderson (associate producer of HOOSIERS). One screenplay, THE LAZARUS PROJECT, a mystery/thriller, was a top ten finalist in the Illinois/Chicago 2000 Screenwriting Competition sponsored by the Illinois and Chicago Film Offices. 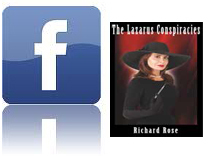 My recent novel, THE LAZARUS CONSPIRACIES, an adaptation of the screenplay, was published by Savant Books and Publications in September, 2013, as a soft back edition. It received a rave review by The Huffington Post and an internationally acclaimed award in fiction at The 2015 Pacific Rim Book Festival in Hollywood. It is available at Amazon, Ingram, Barnes & Noble and Kindle. A revision of the earlier screenplay is being considered by independent producers. I am currently writing REDEMPTION, a sequel to The Lazarus Conspiracies.